When Jonathan Hall walked away from his career as an international art thief to be a father, he thought he’d made a clean break—from crime, from life as The Monarch, from an early grave. 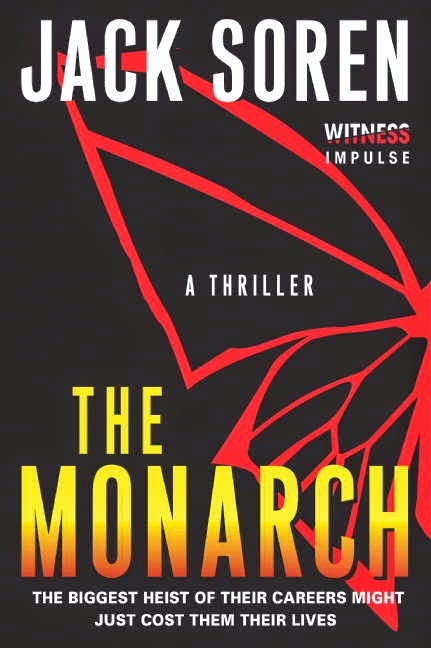 But when The Monarch’s signature symbol resurfaces carved into the mutilated bodies of New York’s elite, Jonathan realizes his retirement might’ve been short-lived. Someone is framing The Monarch for horrific slayings. But Jonathan and his former partner Lew know this isn’t just murder—it’s a message. Now caught in a deadly game against a fanatic madman whose reach penetrates the darkest corners of the globe, Jonathan and Lew have no choice but to play along. But when Jonathan’s daughter becomes a pawn, all bets are off. 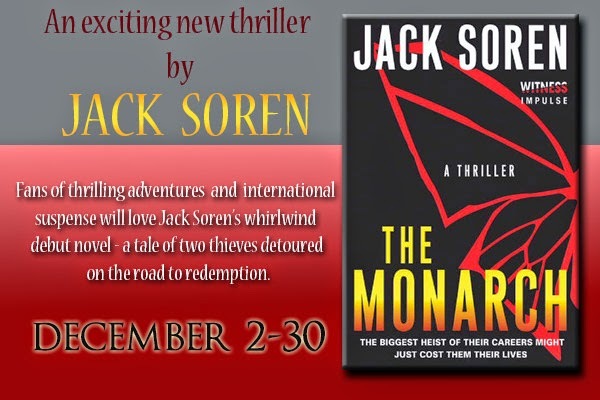 To win this game, Jonathan and Lew will have to accept one final task as The Monarch—a job that could change the course of history forever. COMING TO PAPERBACK NEXT WEEK! SOREN was born and raised in Toronto, Canada. Before becoming a thriller novelist, Soren wrote software manuals, waited tables, drove a cab and spent six months as a really terrible private investigator. He lives in the Toronto area. 10 individual promo codes for a free download of the book. Winner must have access to Bluefire Reader and have an Adobe account to receive free download.